At Pentagon we have a fantastic savings plan that thousands of our customers use to help them budget for their annual servicing and MOT costs. The Pentagon Service Plan has been specifically designed to ease the cost of vehicle ownership. By individually tailoring a plan specifically for you and your Alfa Romeo, we provide a simpler, smarter way to handle the cost of servicing. Customers who join our Service Plan programme tell us that they love the fact that they no longer have any annual service bills to pay because they've been paying for their routine servicing by small monthly direct debits, just like you probably already do with your household bills. By taking advantage of a Pentagon Service Plan you'll be safely entrusting the future of your Alfa Romeo to Alfa Romeo trained technicians who use only approved parts, giving you the peace of mind you expect. Watch this short video to find out more. Save 10% on all parts and accessories from our parts department. Spread the cost with an interest free monthly Direct Debit. Add the cost of a Service Plan to the finance plan of your new or used vehicle. 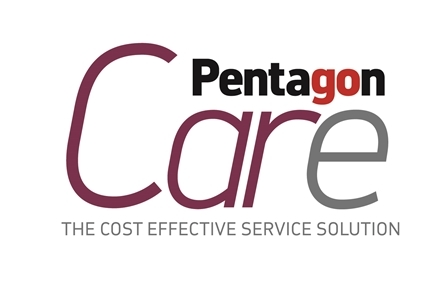 For more information about the Pentagon Service Plan or for a quote for your vehicle simply call us on 0333 222 0406, call your nearest Pentagon Service Centre or complete the enquiry form below and we'll call you straight back. Q. What is included in a Service Plan? The complete cost of your standard servicing, including parts and labour, with the exception of normal wear and tear items such as tyres, brake pads, windscreens etc. You can also include MOT tests if you want to. Q. What happens if I change my vehicle? Any balance on your plan can be transferred to a new plan. Q. What happens if I terminate the agreement? A service plan can be cancelled at any time for an administration fee which will be provided on request. Payments and refunds will be calculated accordingly. Q. Where is my money held? Your money will be held in a safe separate client bank account by Pentagon. *Subject to availability and terms and conditions. Please call or use the enquiry form for a quotation tailored for your vehicle and your estimated annual mileage. A Pentagon Service plan may be cancelled or transferred at any time for a transfer fee, which will be provided upon request. Payments and refunds will be calculated accordingly. Full terms and conditions can be found on the reverse of a Pentagon Service plan contract and are available on request. Please refer to your Service manual for information on your specific Service schedule. A service plan cannot be used in conjunction with any other Pentagon service promotion.